Committee meetings are held once every two months, but no less than once a quarter on the 3rd Monday of the month. The meetings are televised by SFGovTV. The meeting schedule for the year is posted annually, prior to the beginning of the new fiscal year. 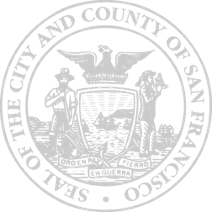 On March 5th, 2002 the San Francisco voters adopted Proposition F, the Citizen Oversight of Bond Expenditures Initiative. The Ordinance established a committee of nine members for the purpose of informing the public concerning the expenditure of general bond proceeds through active review and the publishing of regular reports. The ordinance required that the nine members meet certain minimum qualifications and be appointed as follows: three members by the Mayor, three members by the Board of Supervisors, two members by the Controller, and one member by the Civil Grand Jury. Each member serves for a term of two years and may be re-appointed for a second two-year term. On November 4, 2003, the voters added to the duties of the Committee by approving Proposition C, which requires the Controller to serve as the City Services Auditor. When appropriate, hold public hearings regarding the results of benchmark studies and audits.